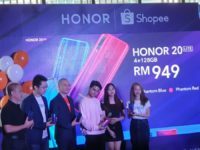 Users aspiring for an affordable phone are spoilt for choice this time around with a plethora of sub-RM1,000 phones though HONOR’s latest offering dubbed the HONOR 8C looks particularly appealing as it comes with an affordable price tag and is one of the first entry level phones to sport the new Snapdragon 632 processor. 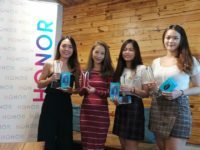 The HONOR 8C comes with a notched 6.26-inch IPS LCD with HD+ resolution and a 19:9 aspect ratio up front. 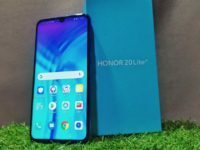 In keeping with many of its entry level compatriots, the phone runs Android 8.1 overlaid with EMUI 8.2 on the aforementioned Snapdragon 632 processor with 3GB RAM and 32GB of expandable storage via a dedicated SIM card slot that also has two SIM card slots so that you can have your cake and eat it too. The rear comes with a rounded fingerprint reader and a vertically aligned dual-camera AI-enhanced array that pairs up a primary 13-MP f/1.8 camera with a 2-MP depth sensor while the front notch holds an 8-MP f/2.0 selfie camera. Keeping it powered is a 4,000mAh battery juiced by a micro USB port. 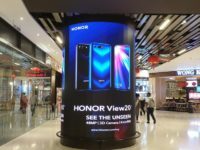 Will Malaysia launch the Huawei P30 series same time as Singapore?